The Large Sebenza 21 with Micarta inlays bridges the gap between hi-tech titanium and the organic feel of Micarta. 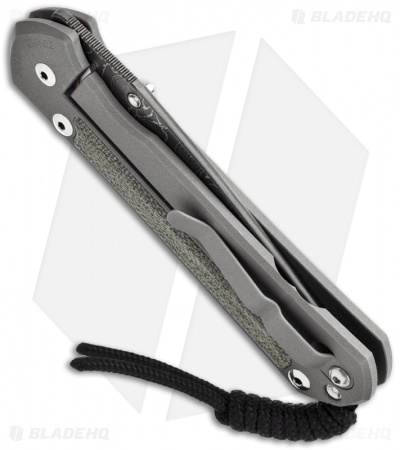 This knife's black canvas micarta inlays each fit exactly into one of three pockets machined into the handle; two on the front and one on the back. 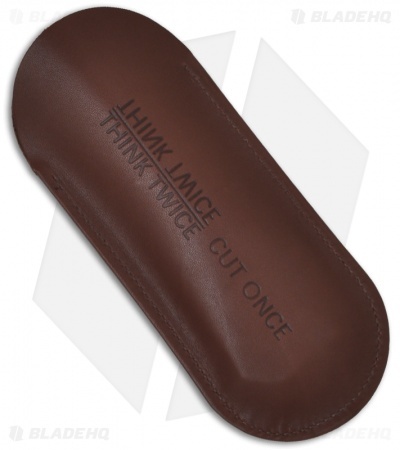 The sections are retained with VHB™ (very high bonding) double sided tape. The inlays give a contoured feel to the handle and are as attractive as they are functional. 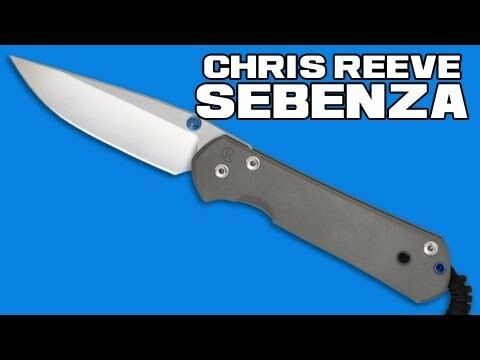 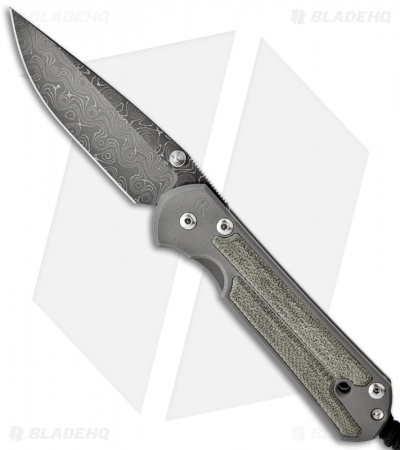 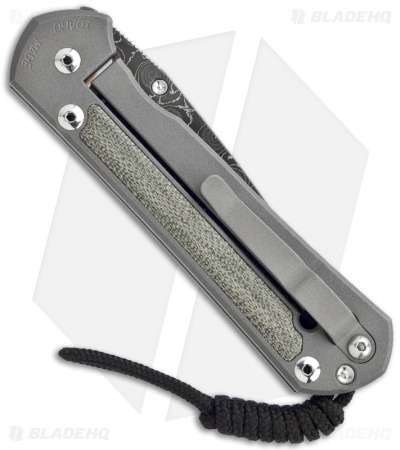 This Sebenza features an attractive Devin Thomas Raindrop Damascus steel blade. A silver thumb lug, spacer and high satin finished hardware complete this beautiful knife. Each knife is unique! Due to the nature of organic material, variation in color and pattern will occur. 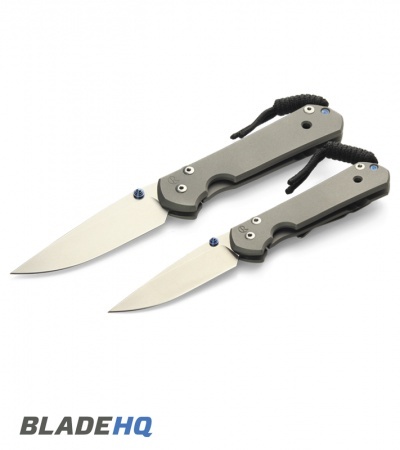 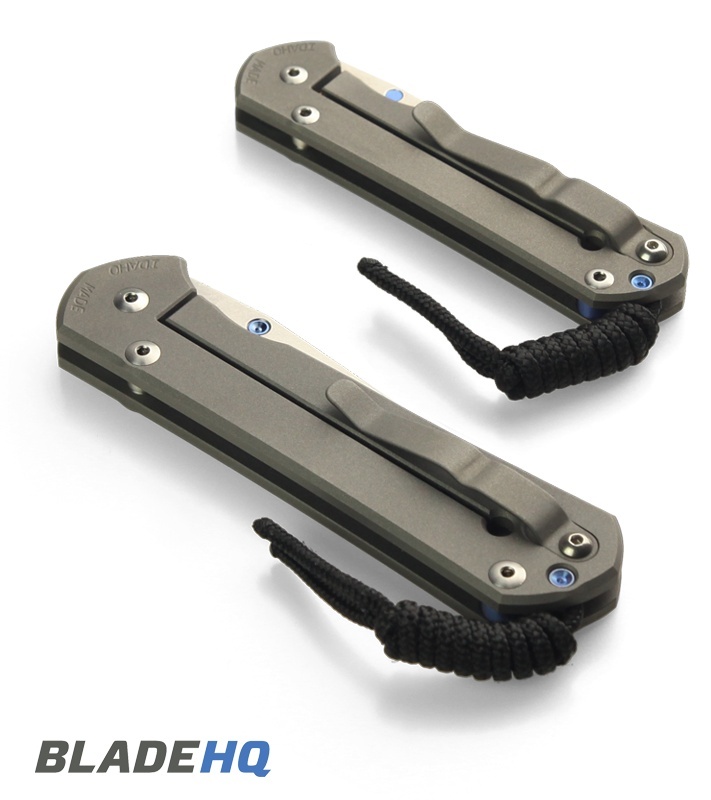 THANK YOU BLADE HQ, WHAT A BEAUTIFUL BLADE, MUCH PRETTIER THAN THE PICTURE, ACTUALLY I HAVEN'T SEEN ONE LIKE IN VIDEOS.